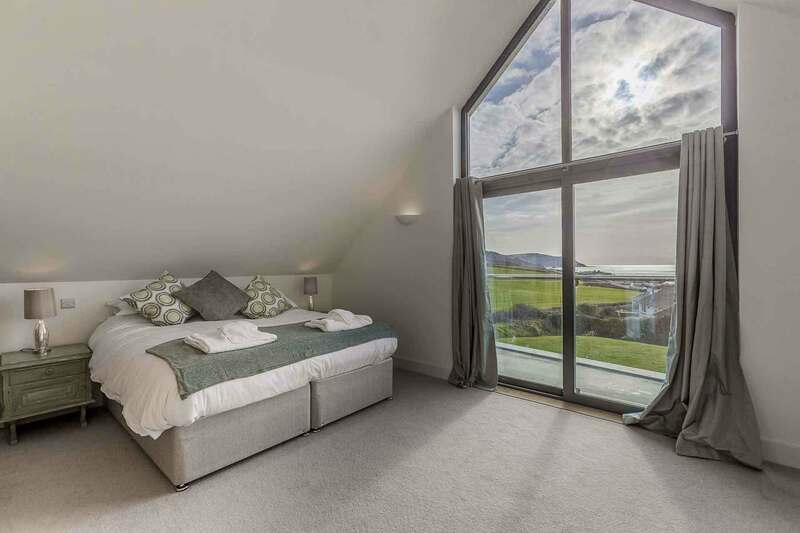 Longview has fantastic views of the coastline and is set within close proximity to the fabulous sandy beaches of Widemouth Bay. 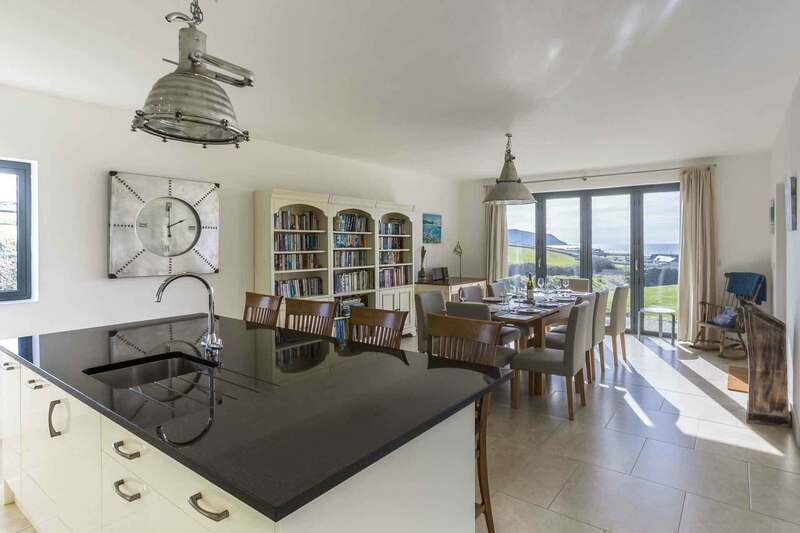 This superb contemporary property is the perfect luxury holiday house to share with your family or friends! 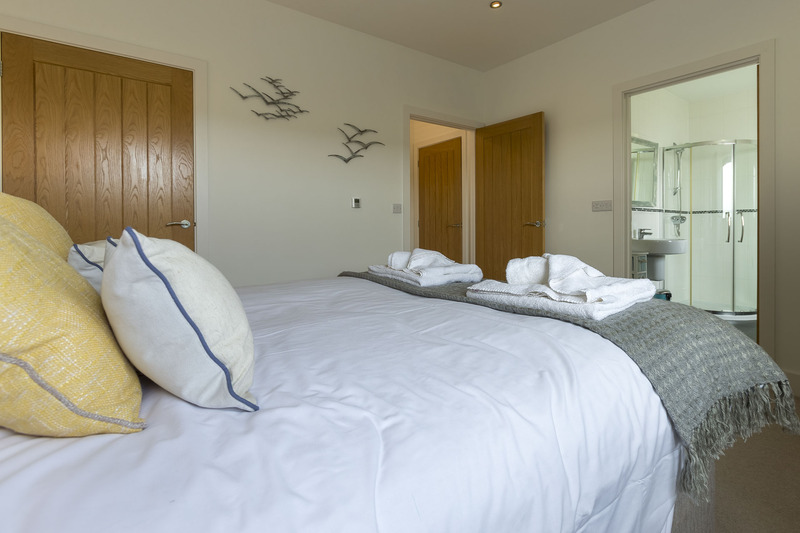 The spacious house can sleep up to ten across the 4 good sized bedrooms, two of which are on the first floor and have en-suite shower rooms. 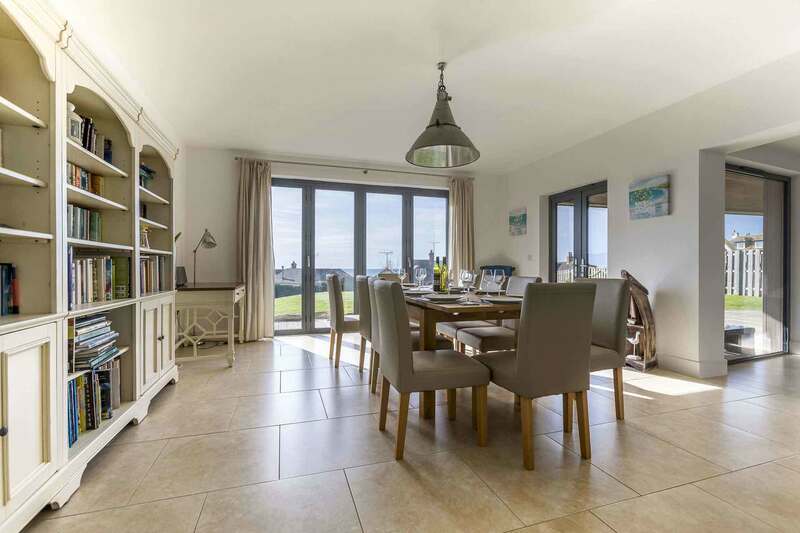 There’s an open plan living area consisting of a large kitchen/diner which is extremely well equipped with all modern appliances, leading on to an equally large lounge area with fantastic views overlooking the sea, comfy sofas and chairs, a log burner and large smart TV. 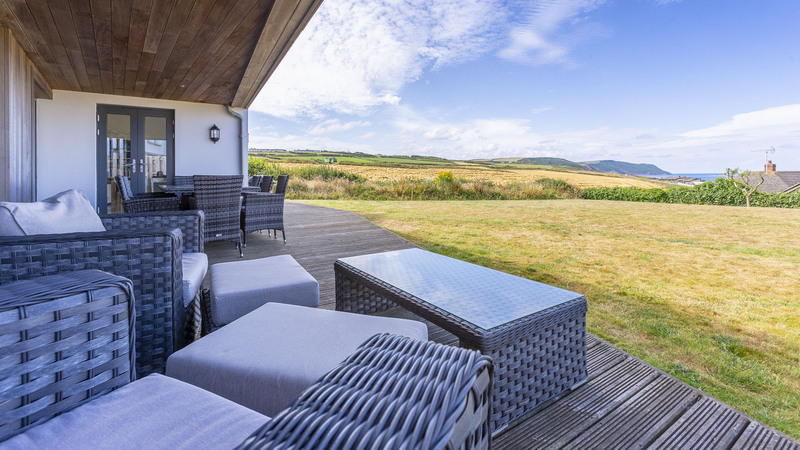 Longview has a large enclosed rear garden with a decked BBQ area for alfresco dining along with a sizeable lawn with incredible views of the Atlantic! The garage is home to a beach trolley and various beach toys and games and has ample space for the storage of bicycles or surf boards. Within walking distance there is a small local shop, The Bay View Inn with good quality ales and Elements restaurant which serves wonderful food. There is also Pizza delivery to the area and a visit from a mobile Fish and Chip van on a Friday! 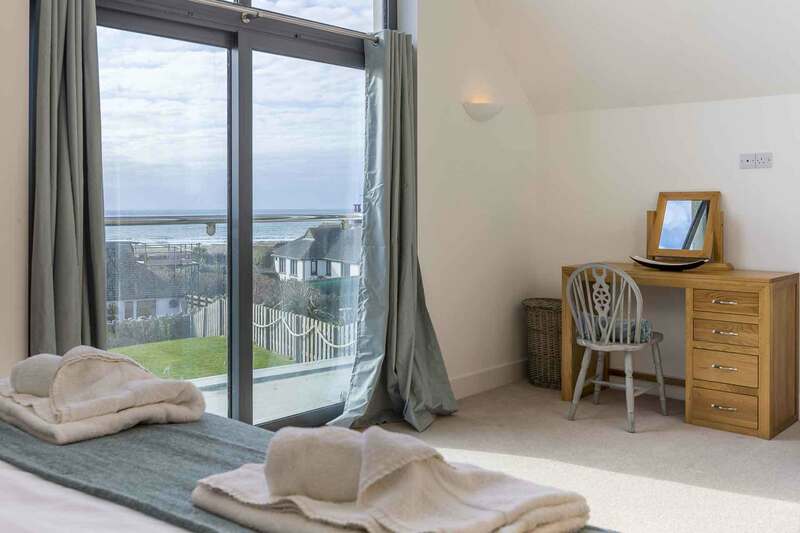 Bude is just a short drive away and offers further restaurants and shops. Prices are per week and include all bed linen and house towels, electricity , hot water and central heating costs. “A spacious and luxurious property featuring amazing views. The house is well equipped and would be perfect for a large family gathering; every room had an en-suite so it kept fighting to a minimum. 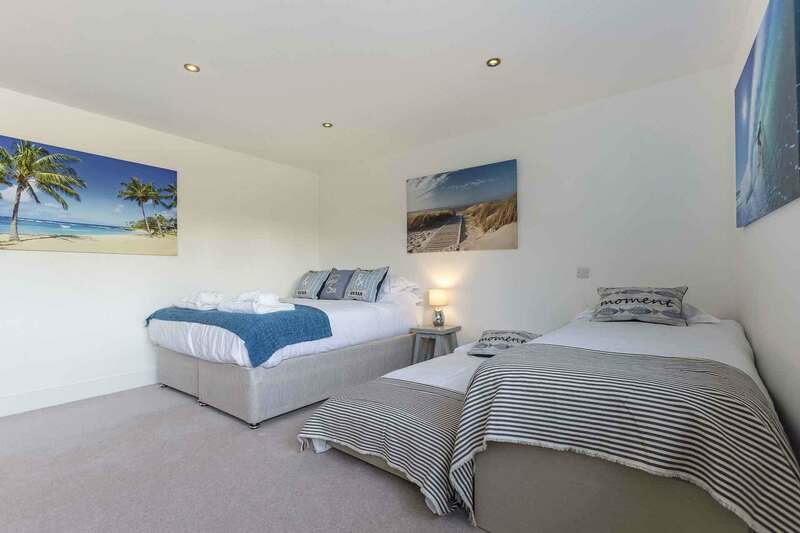 The house is a two minute walk from the stunning beach (see photo below) which is closely guarded by a dedicated team of life guards. 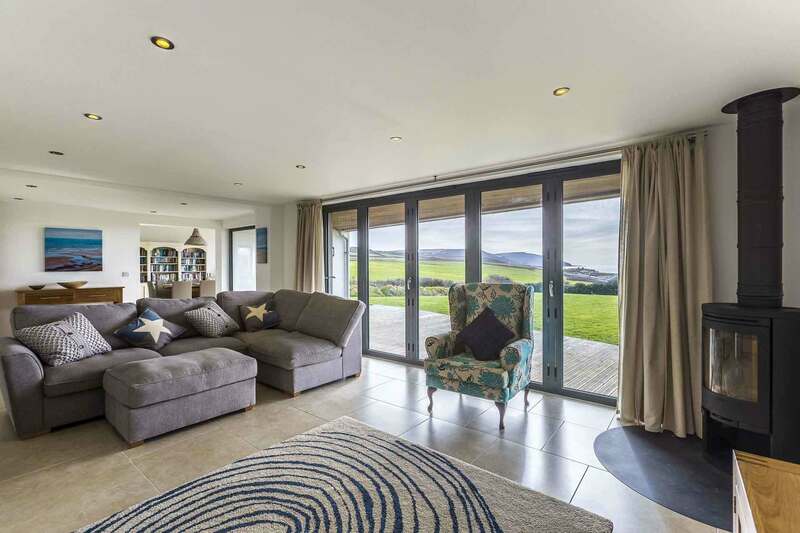 “Longview was the perfect house for a family holiday. 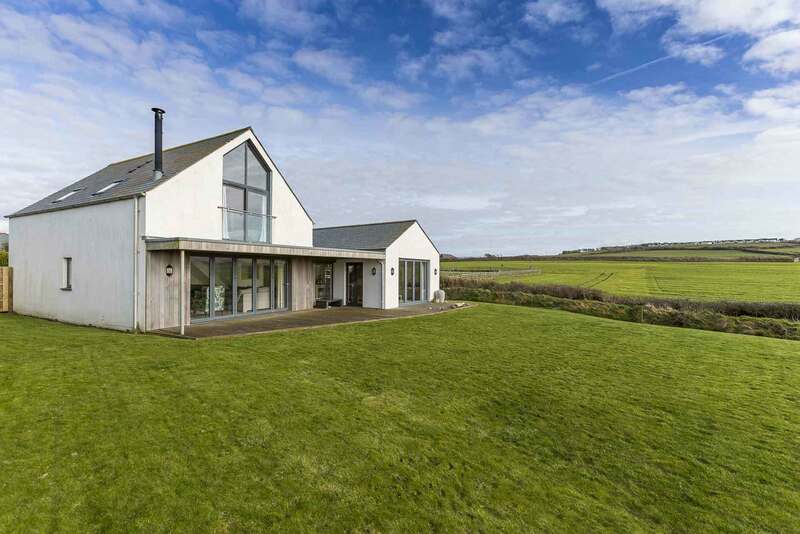 It’s ideal location so close to the beach and perfect views of green fields, sea and sunsets makes this hard to beat. 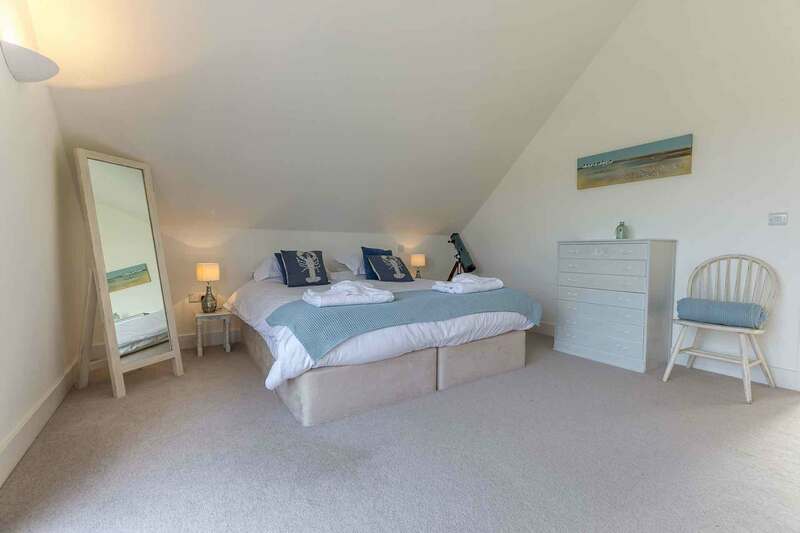 The house is of an exceptionally high standard with regards to space and facilities – much appreciated by everyone in the family, including the 3 grown up teenagers, each with their own bathroom! Can honestly say that there wasn’t anything that we felt was missing! The outside space was well used for eating and relaxing, enjoying the amazing views. We walked into Bude and back along the coastal path which makes a lovely day out if you enjoy a walk. Great house, great holiday and great memories. “Just a stones throw from the wonderful beaches that are surf/dog and family friendly. Great pubs and cafes within walking distance, fish and chip van and pizza delivery also mean very little reason to use the car.